Our instrumental programme continues to thrive, and last year, we had over 70 pupils learning various instruments. Our annual June concert was delightful, demonstrating the talents of pupils from beginners to confident young instrumentalists. We are pleased to congratulate our students who participated in the ABRSM (Associated Board of the Royal School of Music) exams this past school year. We once again had a 100% success rate, with many students achieving Merit and Distinction. Our pupils are taught by a team of visiting musicians during and after the school day. This year we can offer violin, cello, flute, guitar, drums, singing, piano and recorder. Lessons may be taken individually or in groups of 2 - 3 pupils. Recorder and beginner guitar are taught in small groups of 4 - 7 pupils for children in Years 1 - 2. 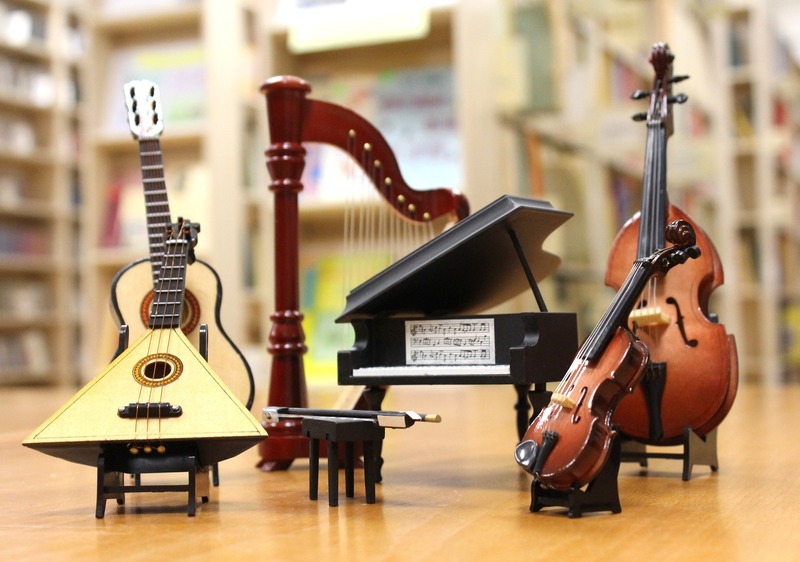 These instruments are perfect for children with small fingers, and give them the opportunity to receive a solid musical foundation at an early age. Last year, our instrumental programme started a new band project to encourage students to play their instruments together. This initiative has been a great success and the band performances were among the many highlights in our annual concert. The programme also holds termly competitions with prizes to encourage good practice habits. The students have several opportunities to perform throughout the school year for their friends and families which are always a great success and enjoyable for all. In order to allow pupils the opportunity to try out an instrument before buying it, we offer violins, cellos guitars, flutes, saxophones and clarinets for hire. A deposit of 3 months rental must be paid in advance before a pupil can take an instrument home. A minimum of 3 months rental is charged if the instrument is returned within the first 3 months. If, however, a pupil wishes to move on to another instrument in that period, the deposit can be transferred. Monthly rental charges (between €20 and €35) are related to the value of the instrument and must be paid one month in advance. 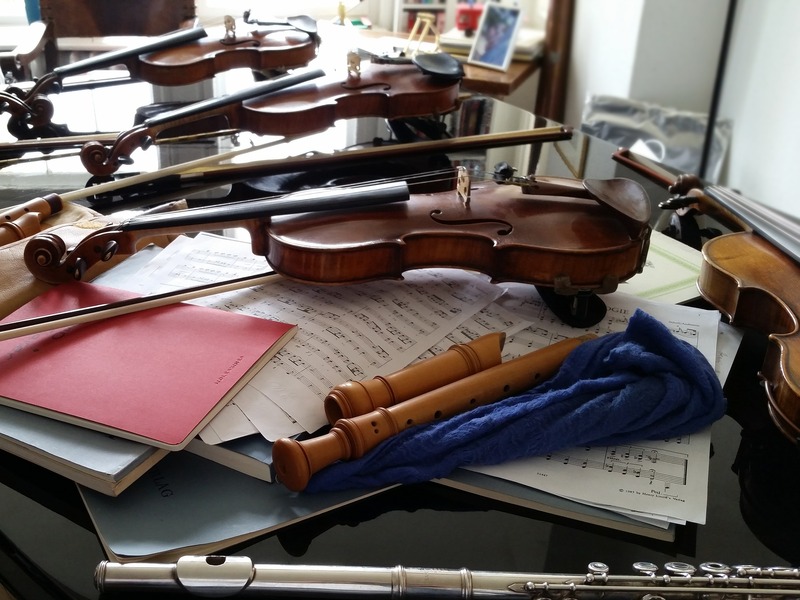 A full calendar month’s notice in writing to the instrumental teacher is required in order to discontinue either rentals of instruments or lessons. Pupils who wish to learn the piano must have their own instrument at home on which to practice. This can be either an acoustic piano (which is preferable), or a full size (7 octave) weighted electric piano/keyboard with pedals. Small (5 octave) keyboards are only sufficient on a temporary basis. During the school calendar year, instrumental lessons average out at 3 lessons per month. Fees are payable monthly in advance to the instrumental teacher. Alternatively, parents may pay for 3 months in advance with a €10 discount, with the exception of band fees. Please note that discounts only apply to payments made in advance. Students are responsible for arriving at their lessons on time at the designated classroom. Teachers must be informed by the parents in writing, of any absences, at least 48 hours in advance. If you would like your child to be included in our programme, please fill in the Application Form. Teachers will be assigned to pupils in the order that the forms are received.